As its name implies, 3Q is a flexible 3-band EQ pedal for customizing your tone. 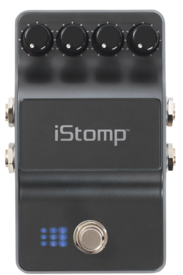 The BASS and TREBLE knobs are fixed frequency boost/cut controls that are used to increase or decrease low and high frequencies by +/-12dB. The MID FREQ knob features a sweepable frequency range of 500Hz-3kHz while the MID knob provides +/-12dB of boost or cut for precise midrange tailoring. With the BASS, MID, and TREBLE knobs set at 12 o'clock, there is no EQ cut or boost applied to the signal. 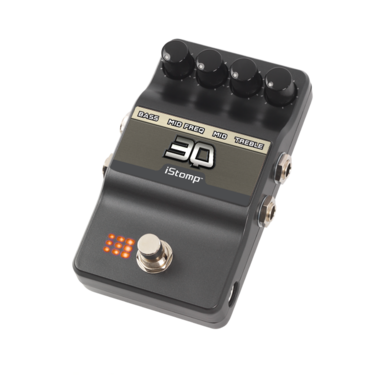 3Q is ideally suited to be used after distortion pedals for maximum tonal shaping. 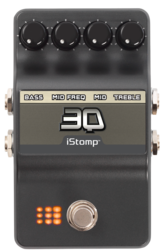 BASS - Controls the amount of cut/boost of low frequencies. MID FREQ - Selects the midrange frequency range between 500Hz to 3kHz. 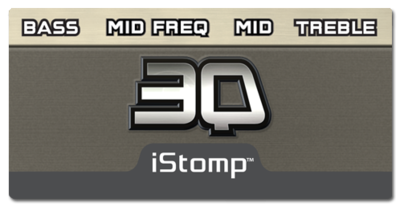 MID - Controls the amount of cut/boost of the frequency set by the Mid Freq control. 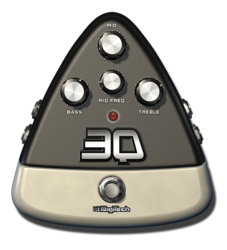 TREBLE - Controls the amount of the cut/boost of high frequencies.